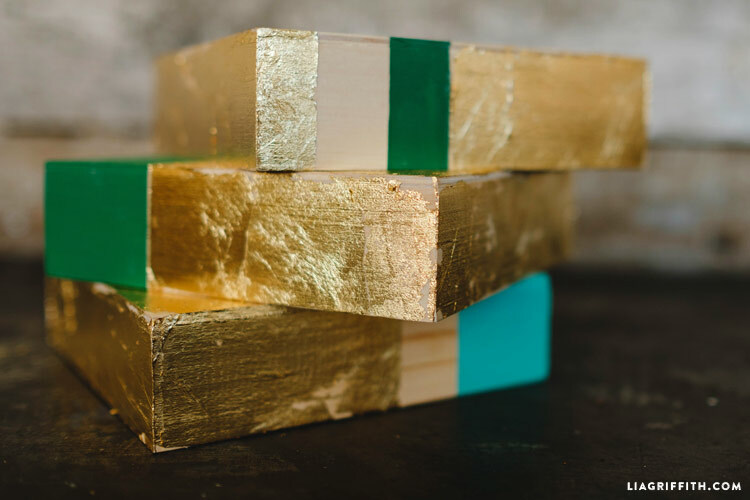 No templates, no downloads – this is one of those DIY projects that only uses a few materials to create something gorgeous. It is easy to personalize, and the steps are beyond simple. 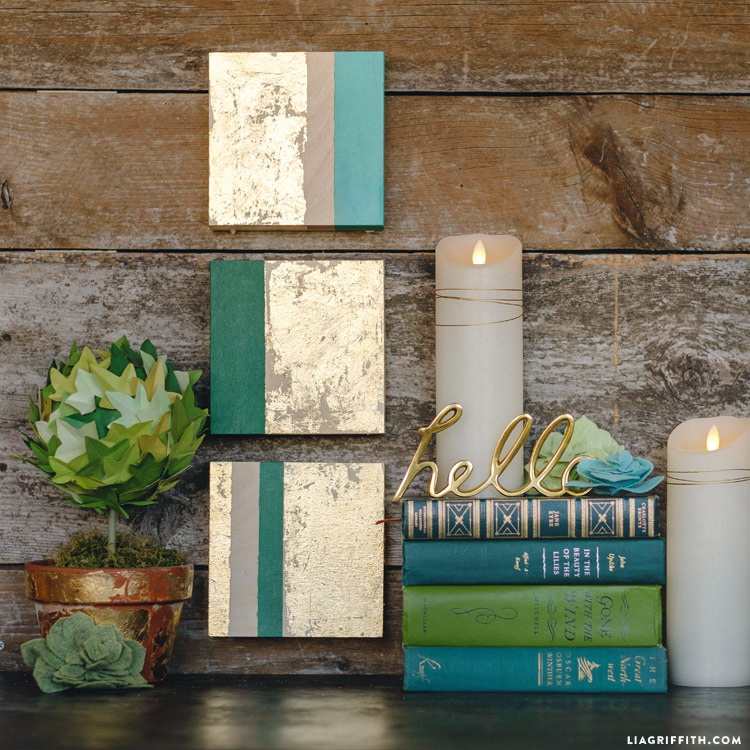 Crafters at any age or skill level can finish this foiled wall art project and admire its beauty! 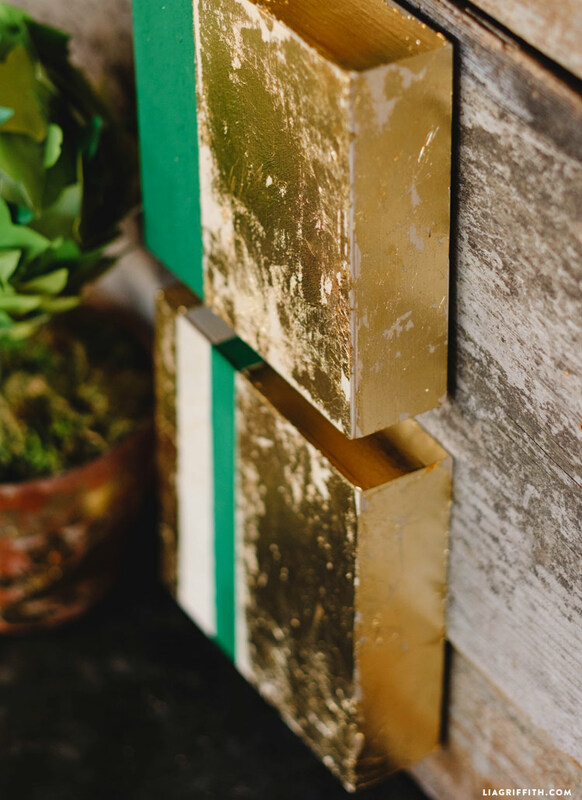 When you are done, use these pretty wood blocks to decorate your work or living space with luscious metallic accents. Start by picking out your wood canvases. We found ours at our local Blick. You can choose squares or rectangles depending on your personal preference or the space you are decorating. Next, pick your color palette. 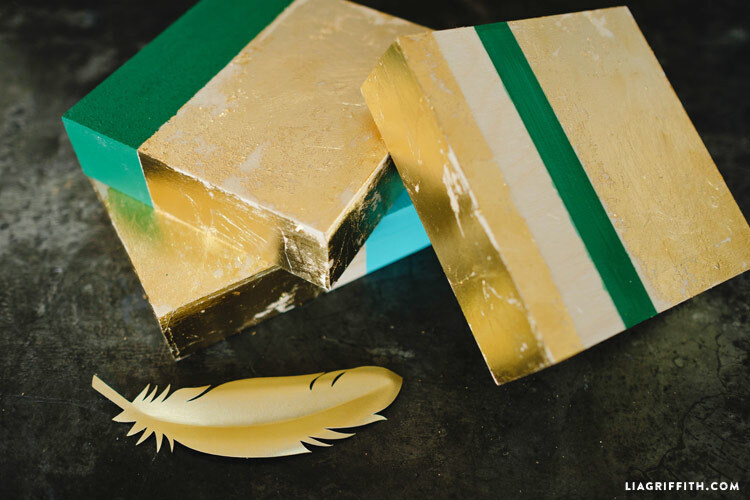 We used an emerald green and teal to complement the gold foil for a beautiful winter color combination. Plus the colors went perfectly with our vintage book collection and boho feather candles! Once you have your materials ready, add strips of painter’s tape to create straight lines on your canvas. Paint your color blocks and let them dry completely. 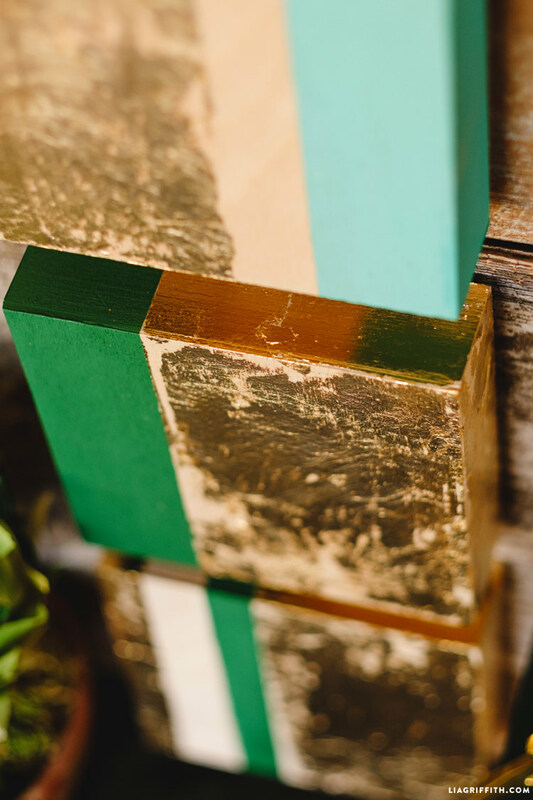 The great thing about using a wood canvas is that they grain can act as its own color block. 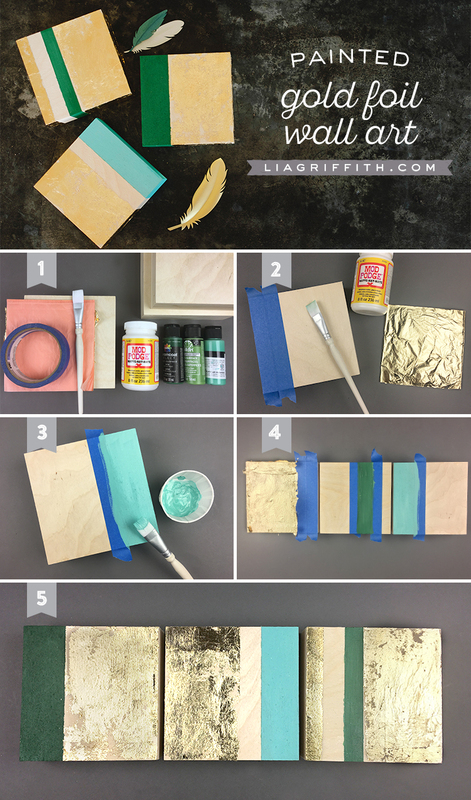 After the paint dries, use mod podge to apply gold foil. Silver or copper foil are also great options for this! It all depends on what will match your specific decor. Awesome project, thanks for sharing! One question, when you say use Mod Podge to apply the foil, what do you mean? Did you do the decoupage process, brushing the MP over under and over the top of the foil to make it adhere? Or is there a special process when using foil and MP? Thanks again…can’t wait to give it a try! Hi! I applied mod podge to the wood piece, then laid a sheet of gold foil on top. After it was dry, I used a brush to lightly brush away excess/loose foil. I find that it holds well without putting an extra coat of mod podge on top, but you can if you wish. Would it be possible to make this art on canvases?